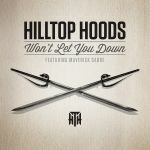 Good return from Hilltop Hoods, though they're not as strong as they were before. Poor song. Not very cohesive, the chorus comes in so awkwardly and is so unsatisfying. Rapping is passable but nothing particularly special. Such a weak comeback song, pity it did so well. I hate the vocals but the music is good and strongly reminding me of some song. Average effort, but exactly what I was expecting. The vocals sound horrible as usual. "I Love It" is still their best effort.<br><br>Edit: An unexpected grower. The rap still isn't good but the chorus and production work well. Bizarre. I really don't think the strings fit well with their verses and the chorus just feels tacked on. Okay.<br><br>The vocals of Maverick Sabre are a bit annoying and the chorus sounds out of place. Backing music saves it from being bad. Average rap and slighty above average chorus.